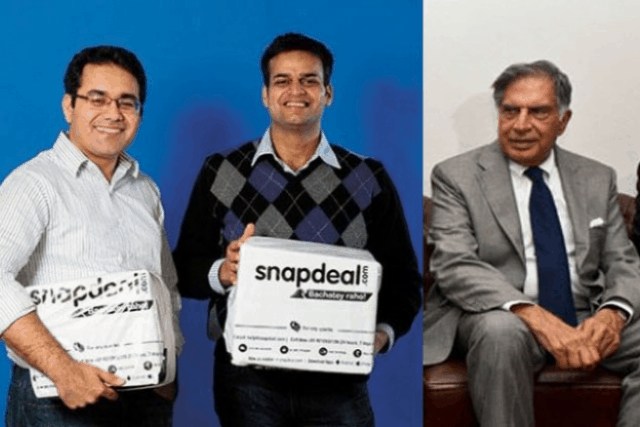 Ratan Tata, 73, chairman emeritus of Tata Sons has made a personal investment in leading Indian online retailer, Snapdeal. Tata Sons is the holding company of the $103 billion-in-revenues Tata conglomerate, with interests spanning steel, software, airlines and tea. It is the first deal of its kind in India under which Snapdeal and the Tata Conglomerate’s Tata Value Homes will be selling affordable homes online, in collaboration. Many Indian business champs are planning to invest in the booming online retail sector. For instance, Wipro chairman Azim Premji has bought stake in Snapdeal as well as fashion retailer Myntra.com through his investment arm while Infosys co-founder Narayana Murthy through his private investment firm Catamaran Ventures has joined hands with the world’s largest etailer Amazon to launch a joint venture aimed at helping small and medium-sized Indian businesses sell their goods and services online. India’s online retail segment is growing at an exponential rate as millions of Indians access the internet through the most ubiquitous Smartphones and speedier internet connections.